Thank you for purchasing Nixe. 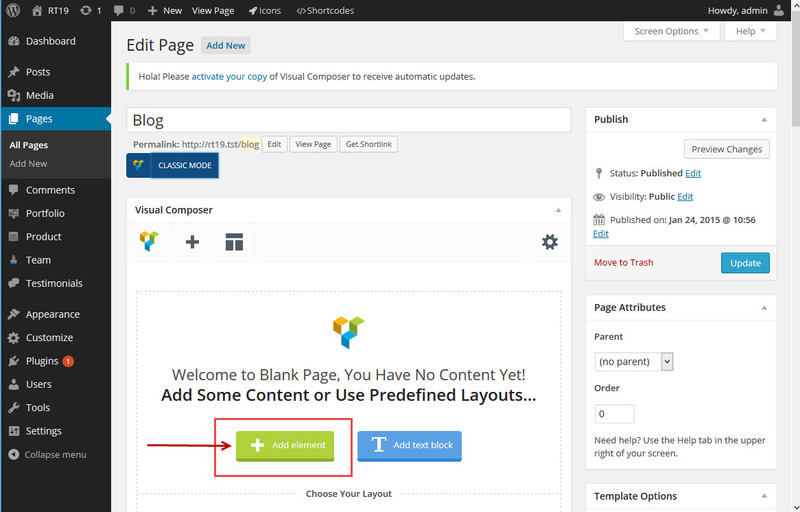 Before you can use your new purchase and start on your new website you need to install the newly bought theme. 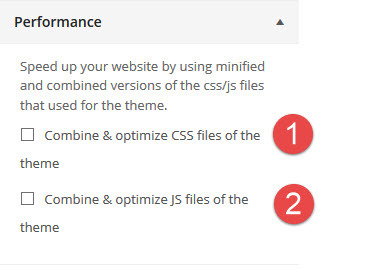 Before installing it you need to download the package from your themeforest account and unzip that download locally on your computer. 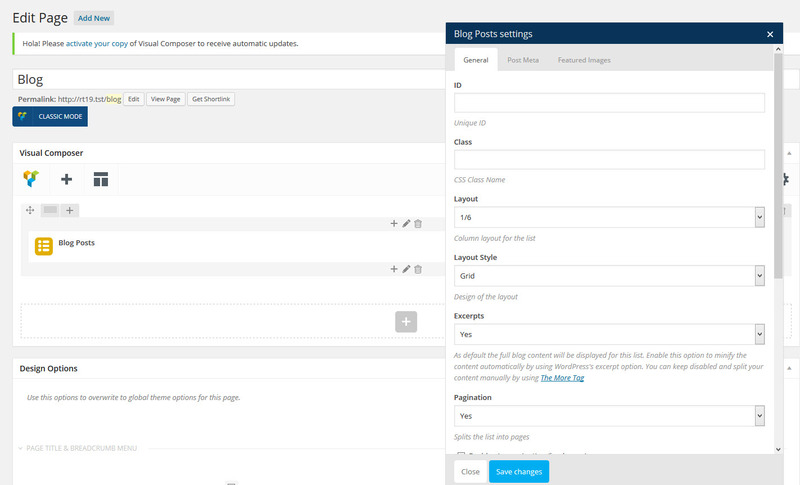 Nixe Extensions Plugin. 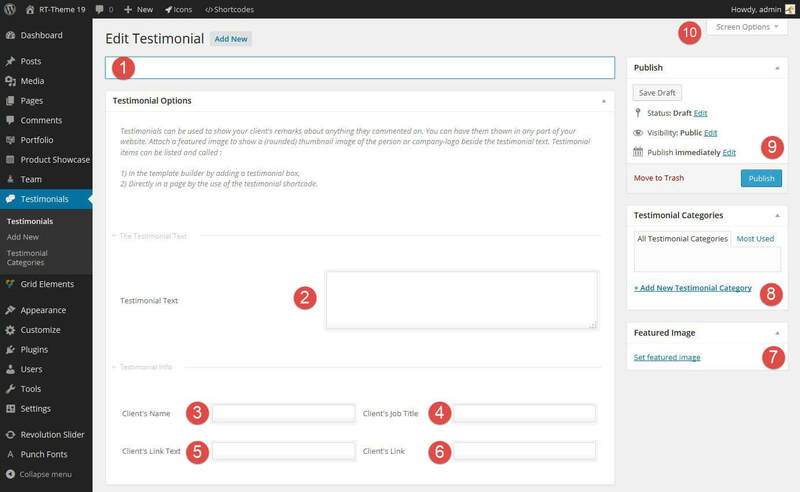 Four custom post types (portfolio, rooms, team and testimonials) and a huge amount of shortcodes. 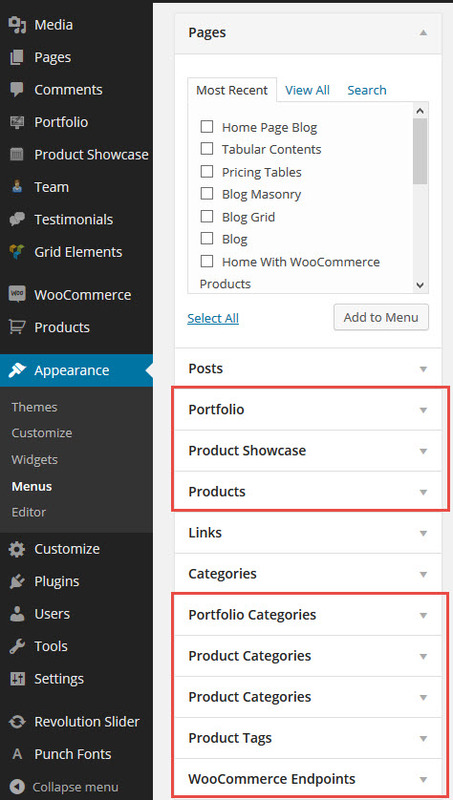 They are bundled in a extension plugin that ships with the theme and need to be installed and activated separately. 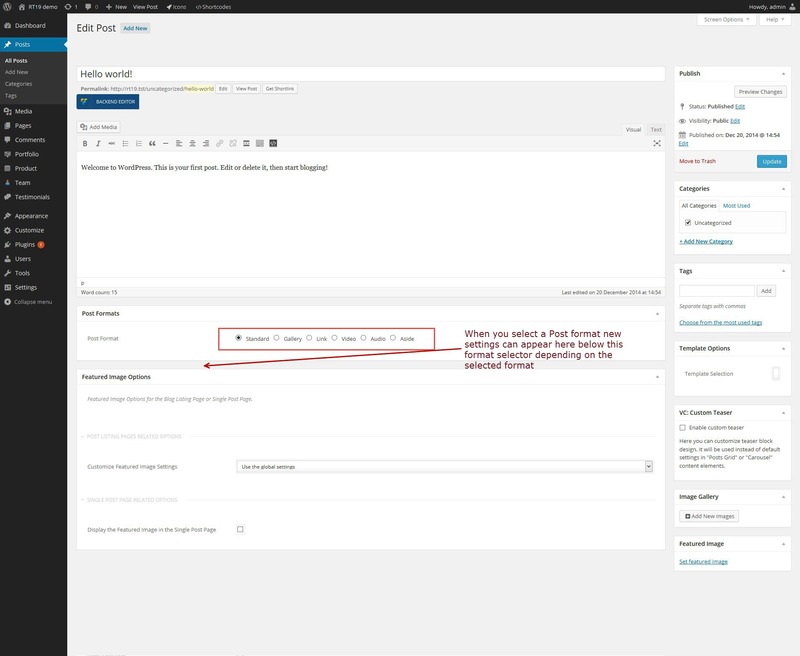 Once Nixe is activated your admin area will show a notification message telling you that you need to install a required extension plugin. 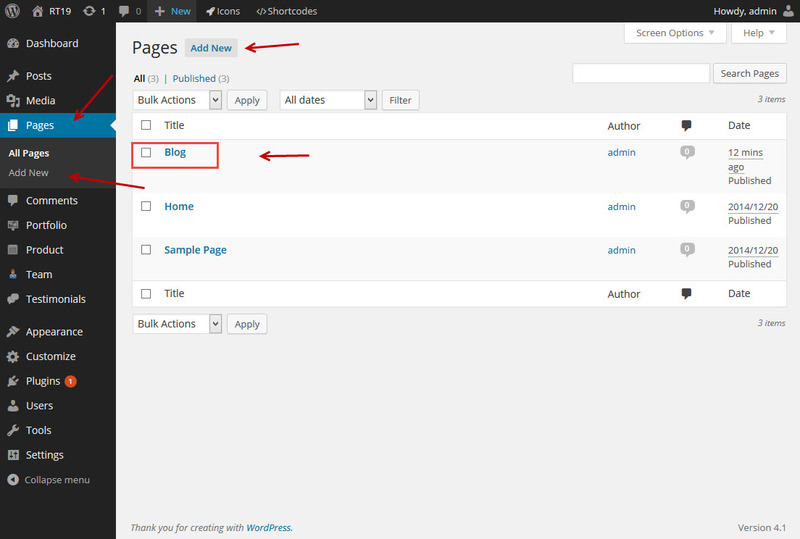 Click on the “Begin installing plugin” link to start the install of the extension plugin. 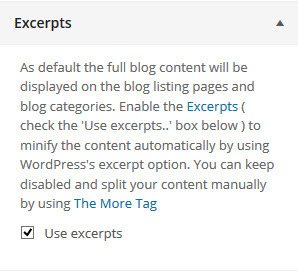 In case you click on “Dismiss this notice” don’t worry as the option will be available also in the WordPress –> Appearance menu. 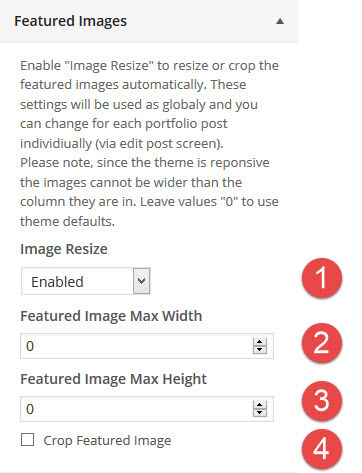 If you would like to import the Portfolio, Rooms, Testimonials & Team related posts and media you must active Nixe Extensions Plugin first. 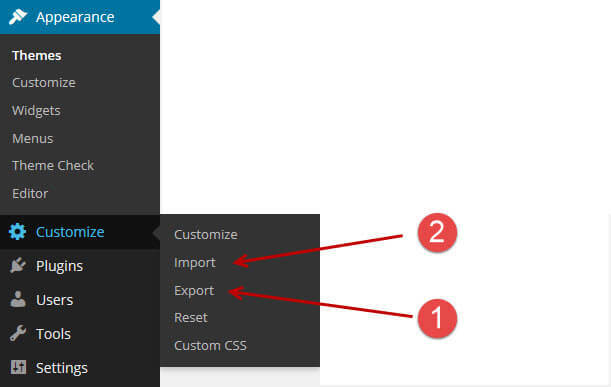 For Contact Form 7 you must active the plugin before even starting the import process. 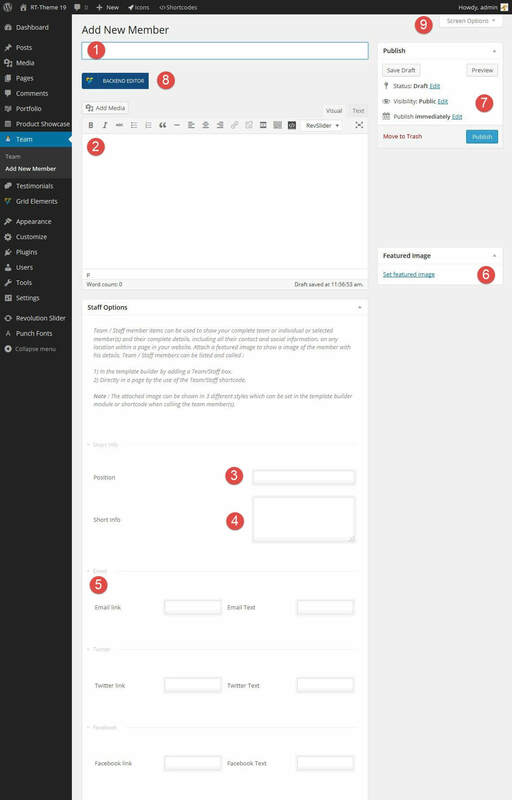 The booking form and mailing list subscription forms are depended to Contact Form 7 plugin. 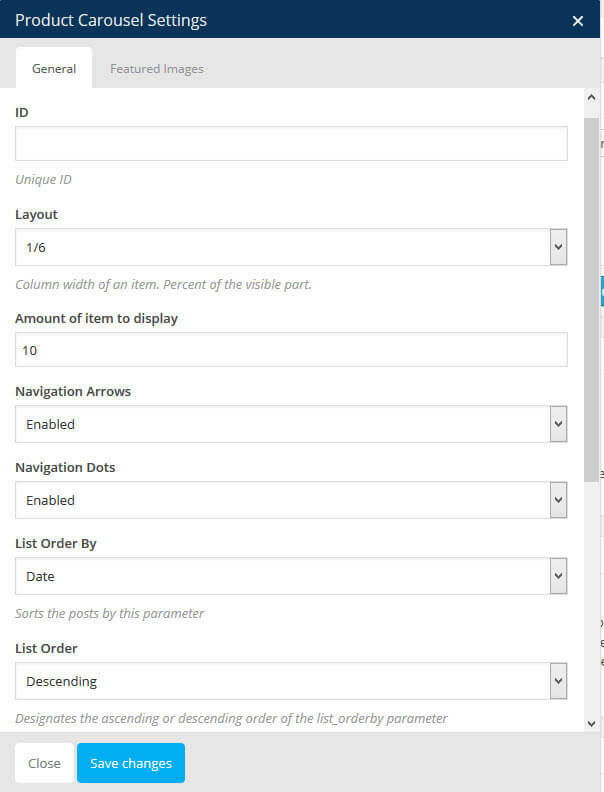 If you’ll need those forms, before start the importing make sure you have installed and activated the plugin. 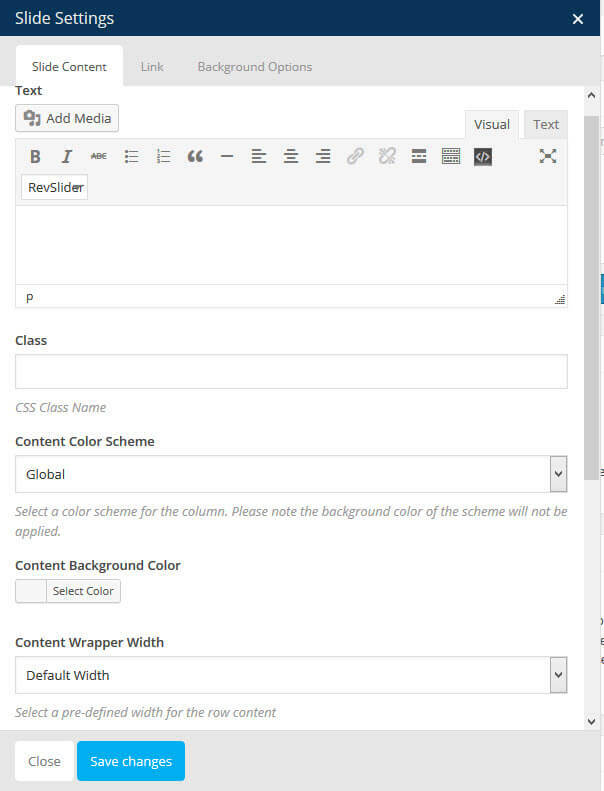 Nixe uses the WordPress customizer to change the theme settings. 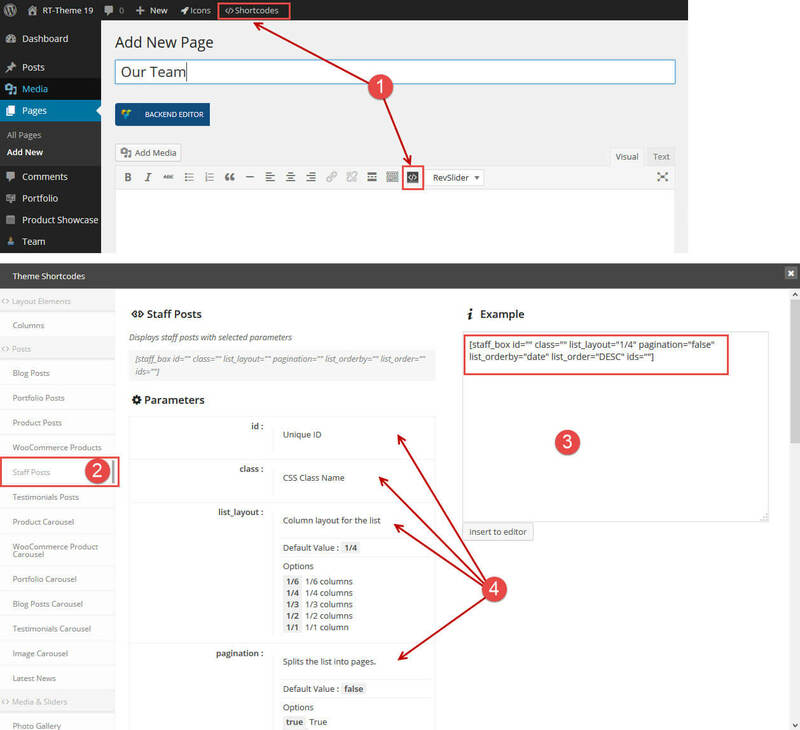 This gives one the ability to see in the back-end what you are changing and how it looks in the front of your website. 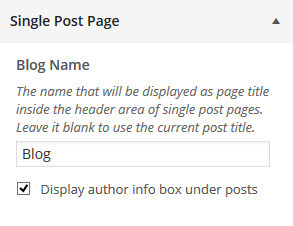 Select a page to prepend the single post in the breadcrumb path. 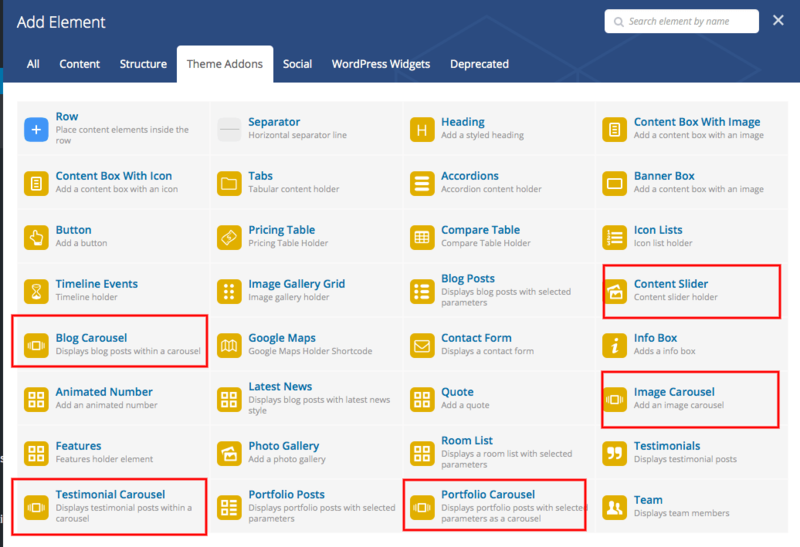 Can be set for the Blog, Portfolio, Rooms and Team members custom post-types which are build in into the theme. 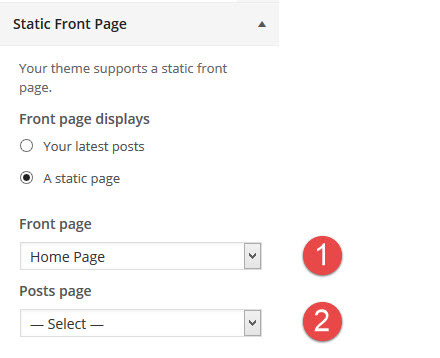 Only the build in post types that come with the theme have these setting. 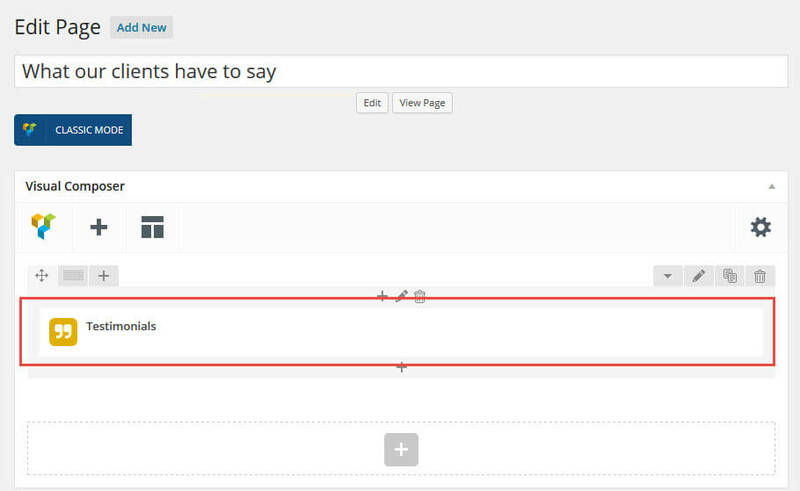 Body & Content Holder: You can change several settings for the body and the content holder. 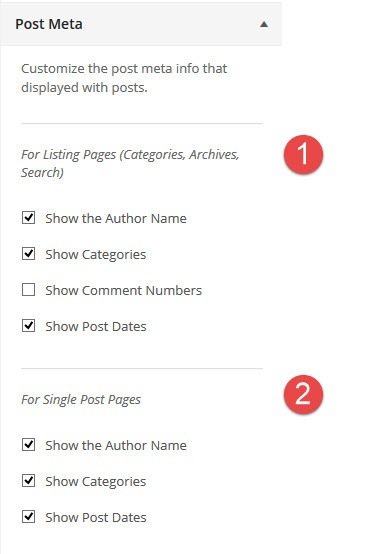 These settings are global and there are same settings available for each page/post. 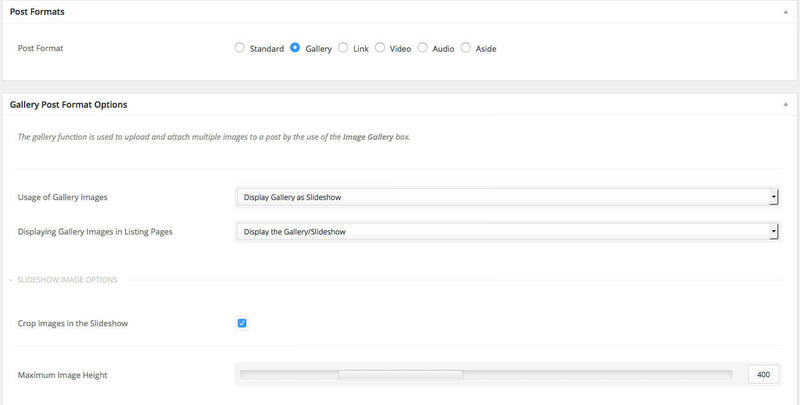 Note that the page body will only be visible if you have a wide screen resolution (> 1300px) and “Content Holder Style” is boxed. 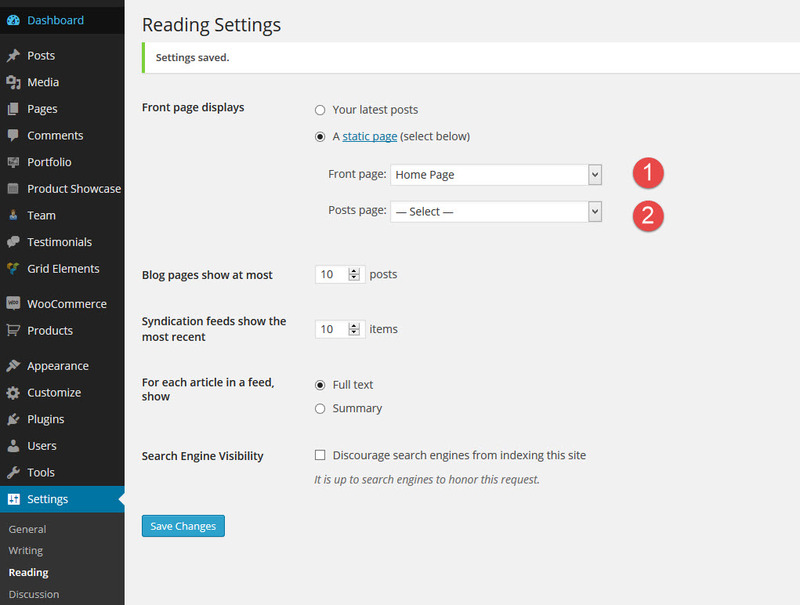 Full Screen Menu: Use the color set to customize colors of the fullscreen menu that also contains the search form. 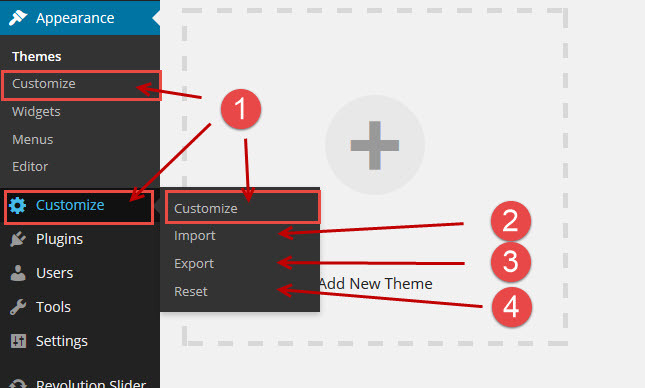 This part will allow you to customize every color of the main navigation. 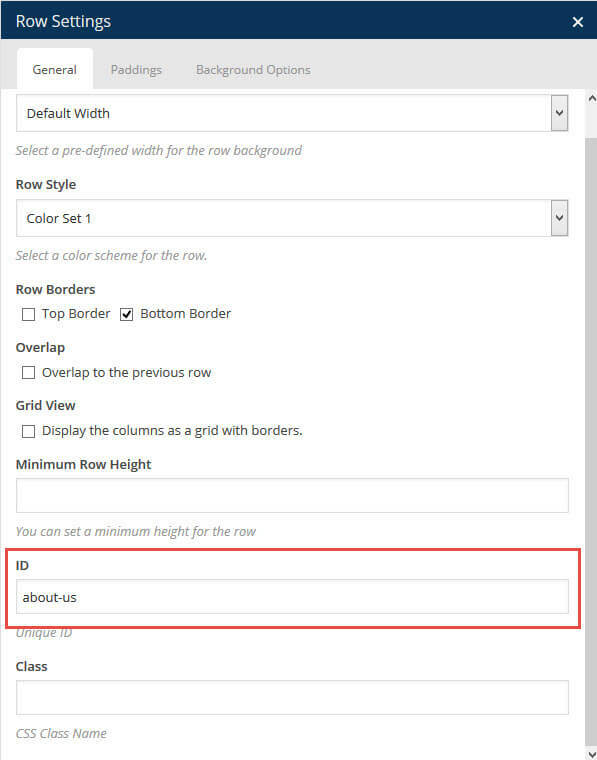 Color sets are used to for content rows or columns. 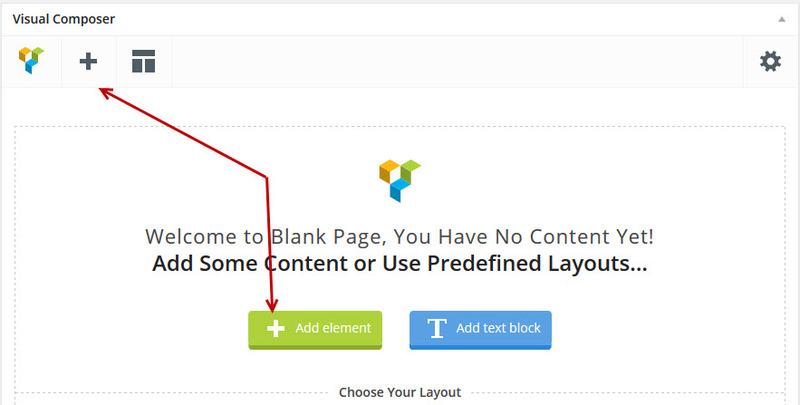 These are color schemes that allows you create a different look for your each content blocks. There are three of them available. 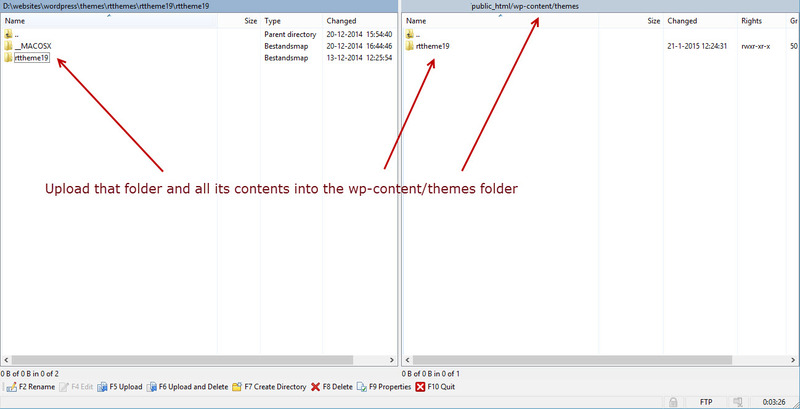 The first one is the default color set of the theme. 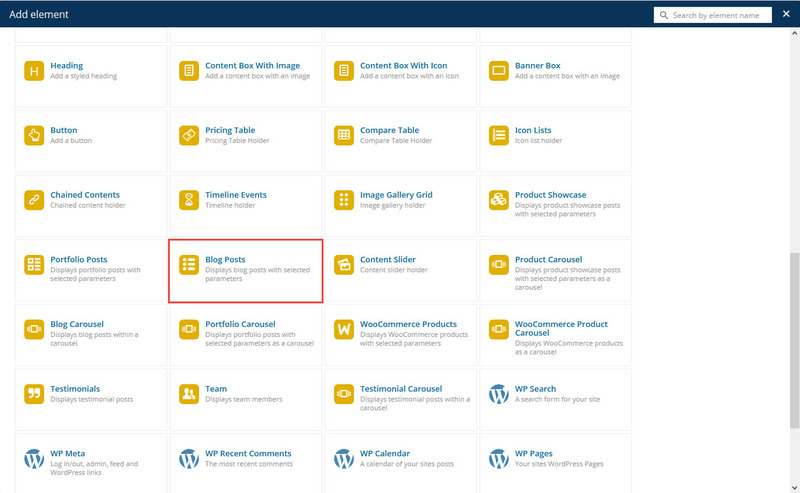 You are able to select a color set for a row or column when you editing a page by using Visual Composer. The amount of portfolio per listing page. Note : Don’t set too many portfolio for a page to avoid slow loading. 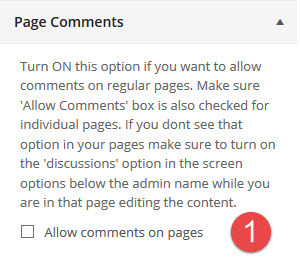 Change and set the Site Title. 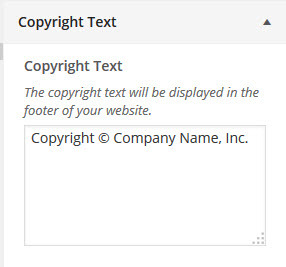 It only show when no logo image is set ! 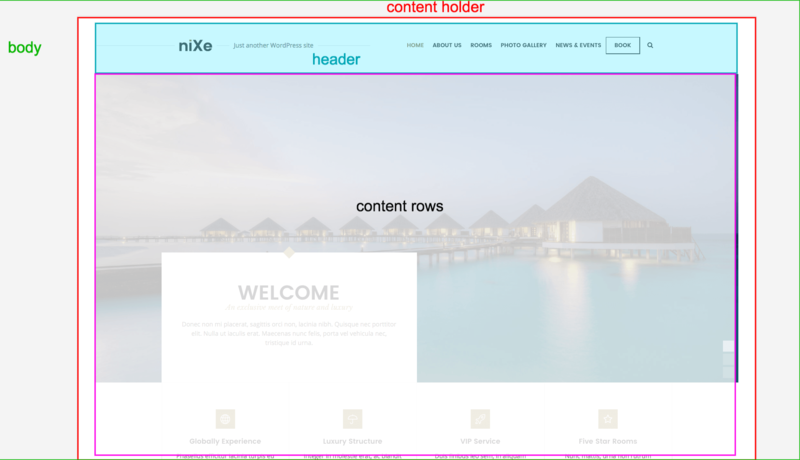 Nixe has many design options available in the Customizer -> Styling options that helps you control design of your website. 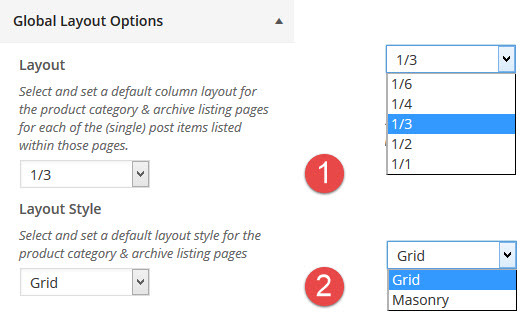 Some of those options are available for pages / posts individually inside the “Design Options” box available for each page/post edit screen. Design options always overwrites the global settings when changed. 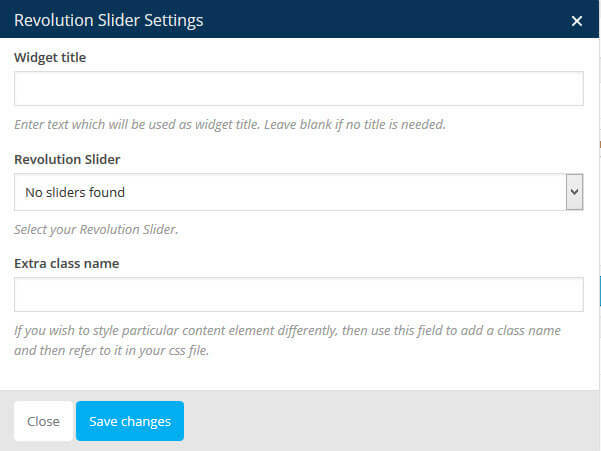 Design options also contains a couple of different option than the global options such as “Customize Menus” and “Sidebars”. 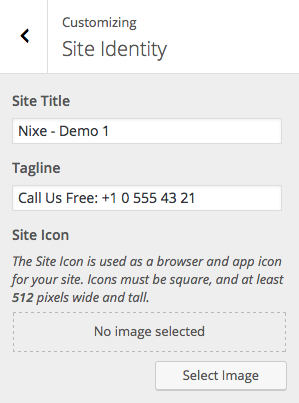 Nixe has two navigation locations; Main Navigation and Footer Navigation. 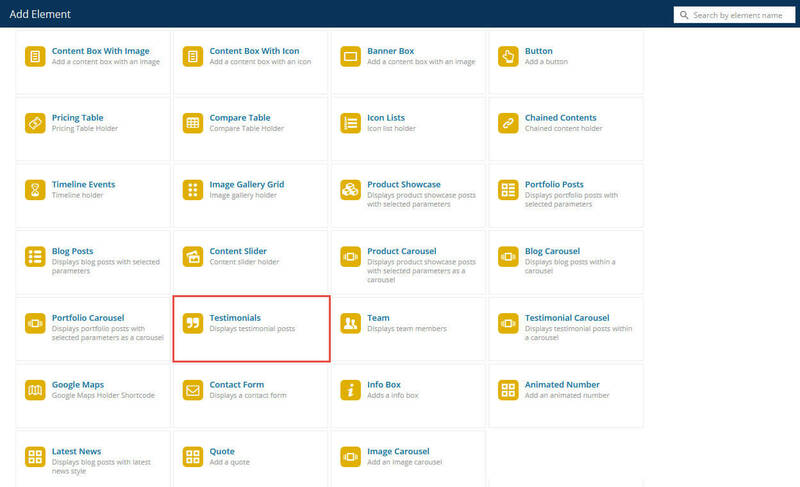 Once you activated the theme those locations will be created automatically so you can jump over the creating a new menu part but if you have a menu already created you must assign it to the location inside the Manage Locations tab. 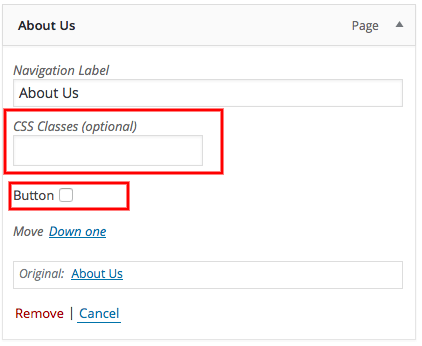 Check the “Button” box to make a “main” navigation item a button like the “Book” button on the demo website. 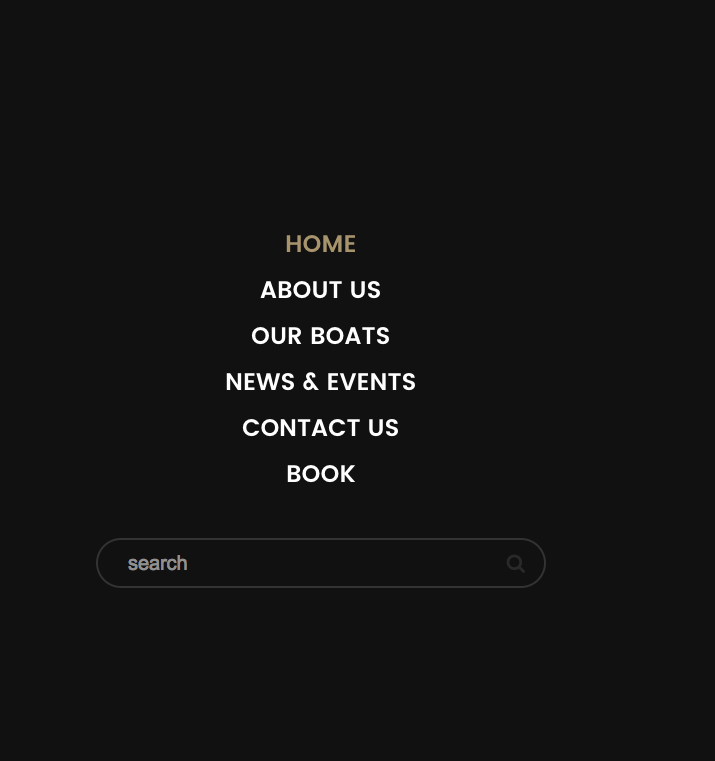 Be aware that the mobile navigation is also contains the main navigation items but it is only visible in small screens. 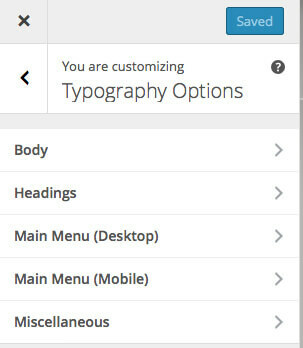 Mobile menu will be looking different then the desktop version and some of those setting will not be visible in the mobile view such as icons. 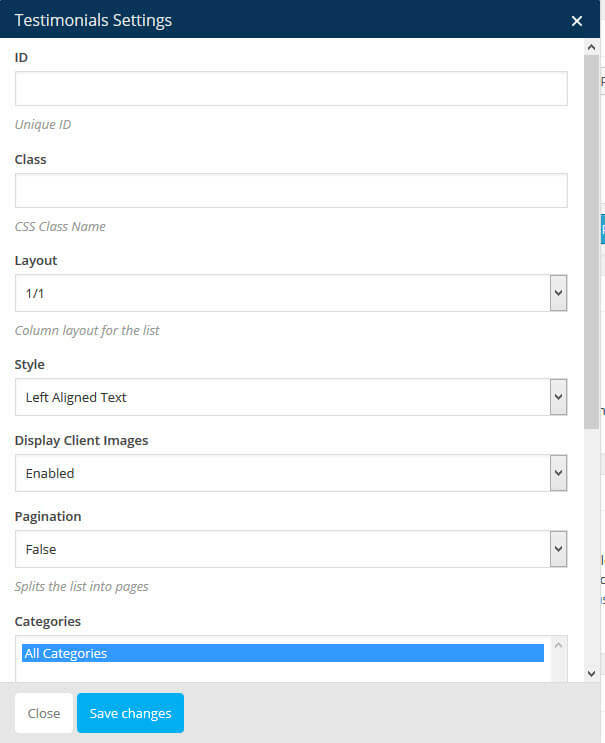 There is a menu location called Fullscreen Navigation that only visible when clicked to the full screen menu button on the header bar.. You can control the menu icon visibility via Customizer -> Styling Options -> Header with “Display Full Screen Menu Button” checkbox. 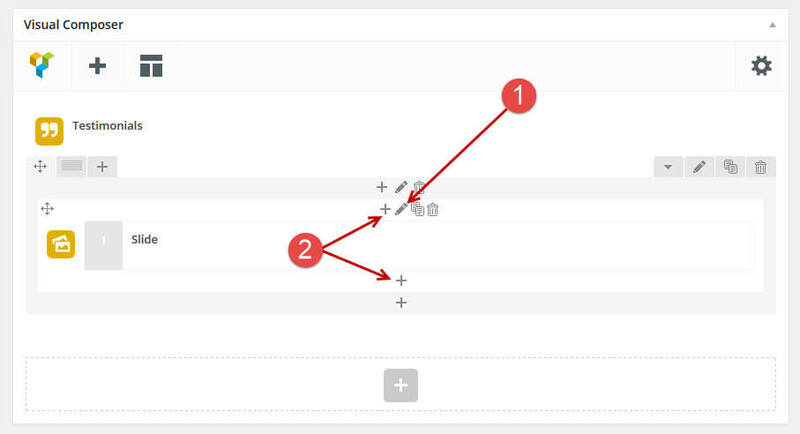 You can use classic navigation and full screen navigation at the same time. 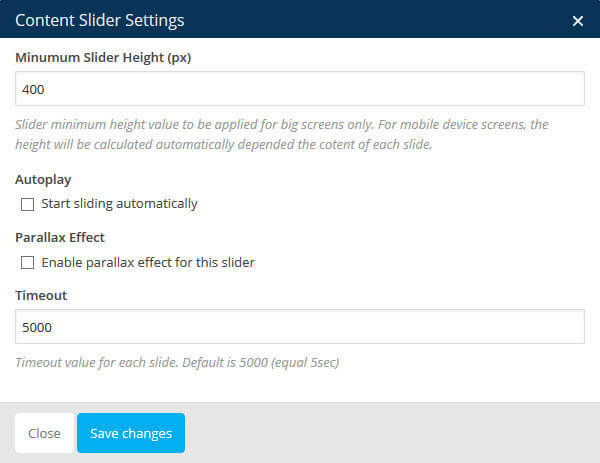 Then select one of the demo sliders from your computer /Nixe/Demo Contents/RevSlider/Demo..
After that you can open each of the individual slides and add items like layers of text, video’s layers, layered images, buttons etc. 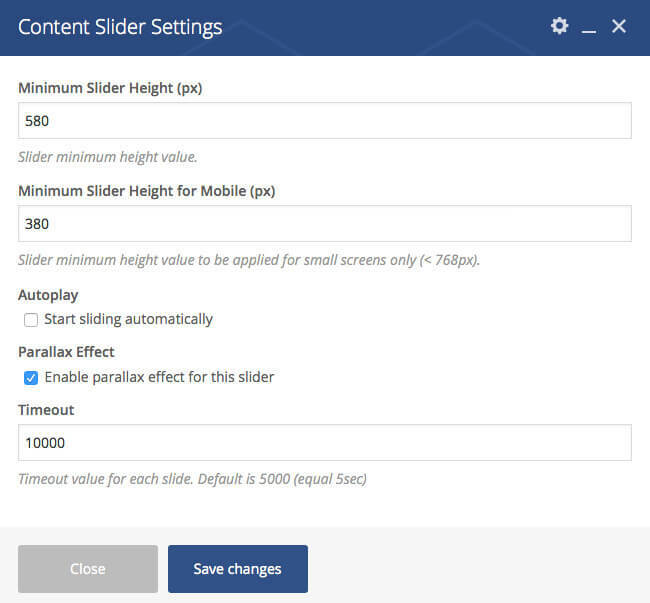 to your slider. 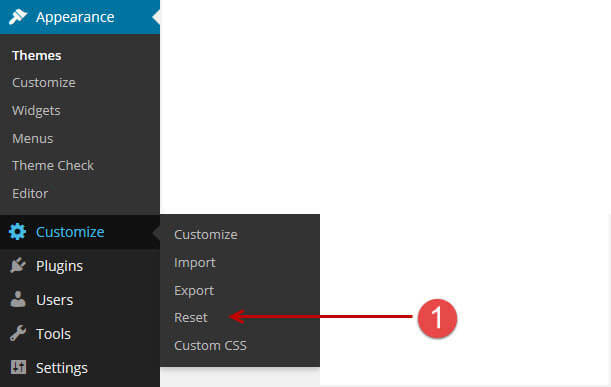 Set their positions by dragging dropping them in the design preview window adjust the layer’s settings in the options window on the below left of the preview window..
by inserting it’s shortcode anywhere in the body content. 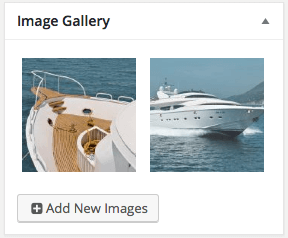 Use WordPress’s featured image box to upload/select the featured images of the post. 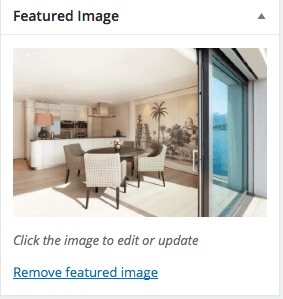 The featured image will be used in the listing pages and carousels. 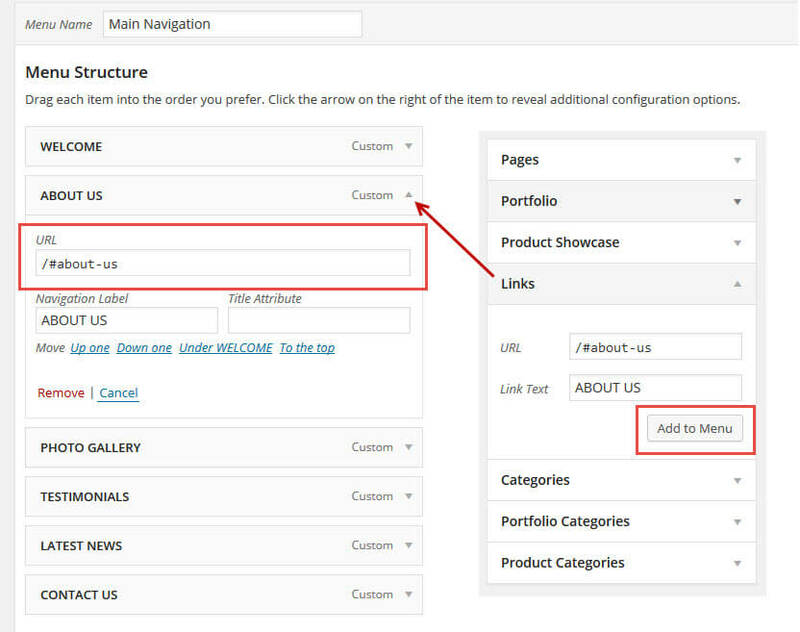 It will also be included to the image gallery unless disabled from the portfolio options box. 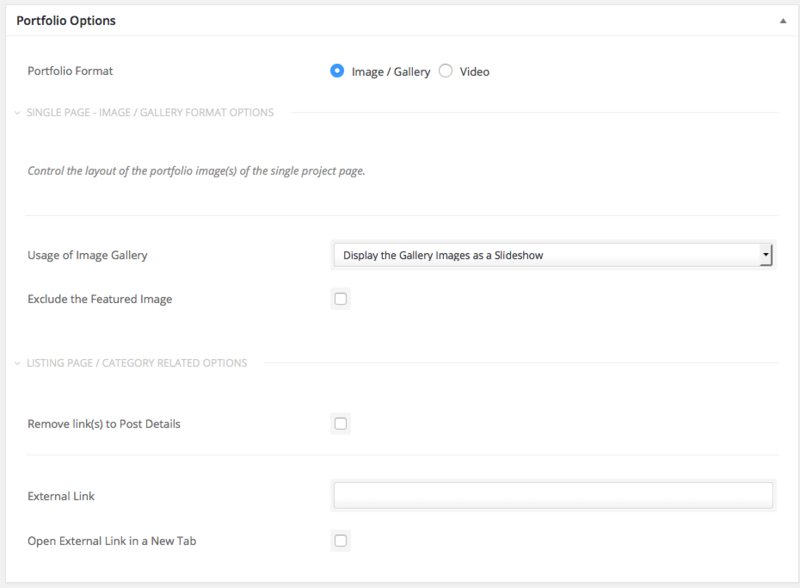 If you have selected Image / Gallery portfolio format, you must use the Image Gallery box to select / upload the gallery images. 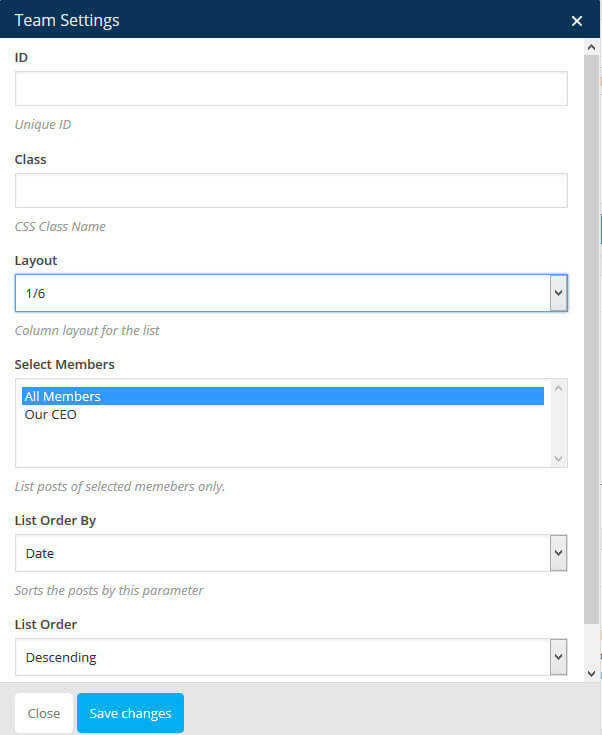 Rooms is a built-in tool that allows you create room lists and pages. 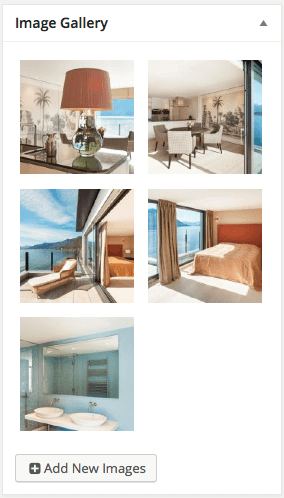 We’ve designed this post type for hotel rooms and similar. But you can use anything else if you like the design. 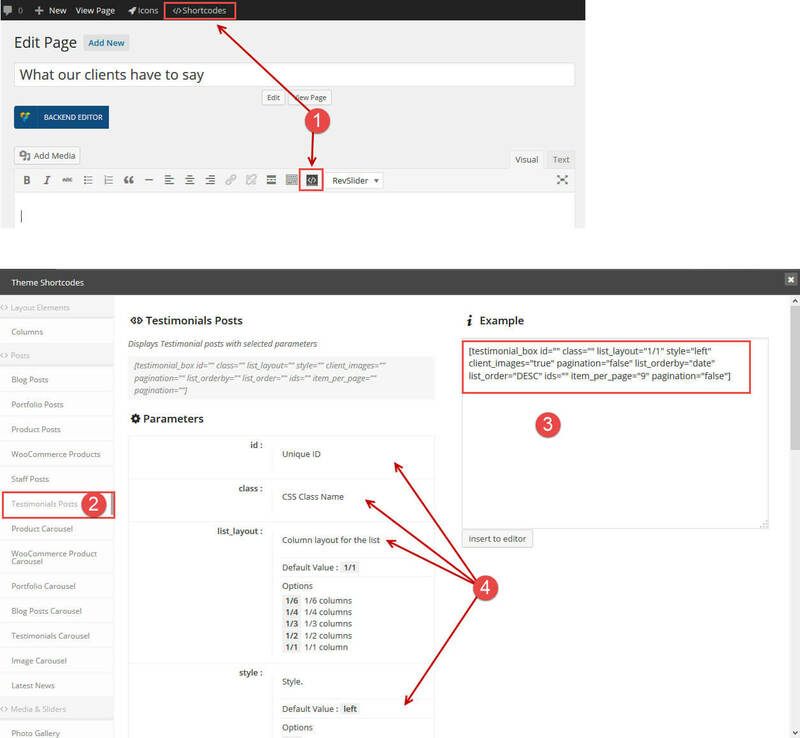 Remember you change the permalink structure via Tools -> Permalinks. 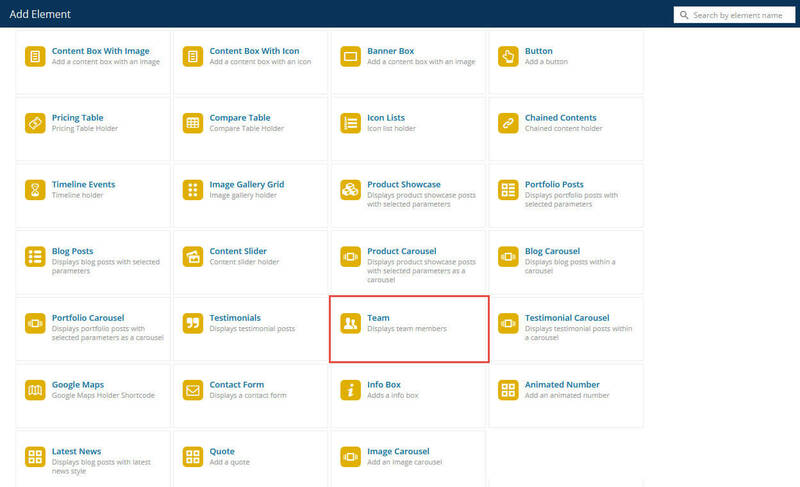 You can use the “Key Features” box to create an inline list to be used both in the single room and listing pages. 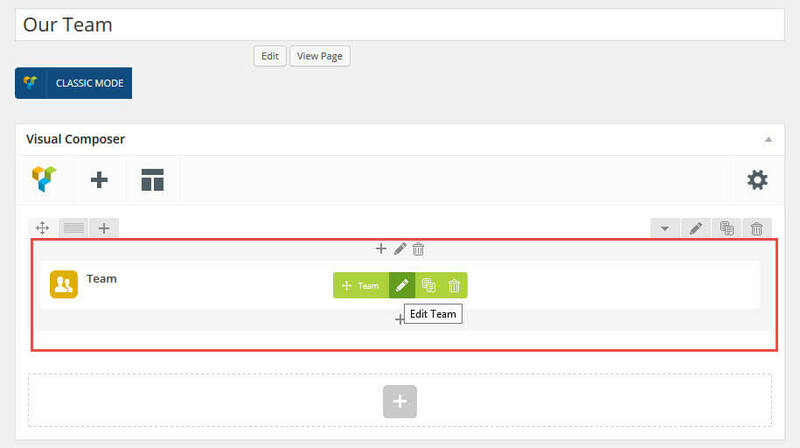 The “All Features” will create a bullet list automatically. 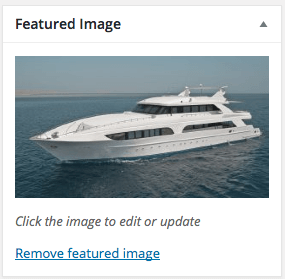 If you select “Hide the Key” features and leave blank the “All Features” section, the page design will become a regular page so you can create your own layout by using the page builder. 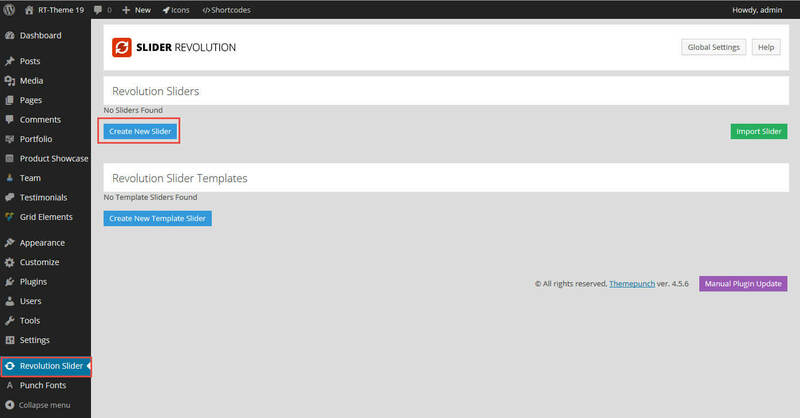 We have included a couple of variations to the demo importer. 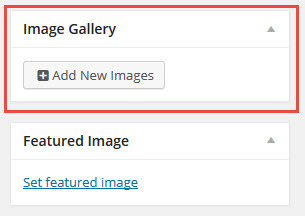 Use the Image Gallery box to select / upload the gallery images. 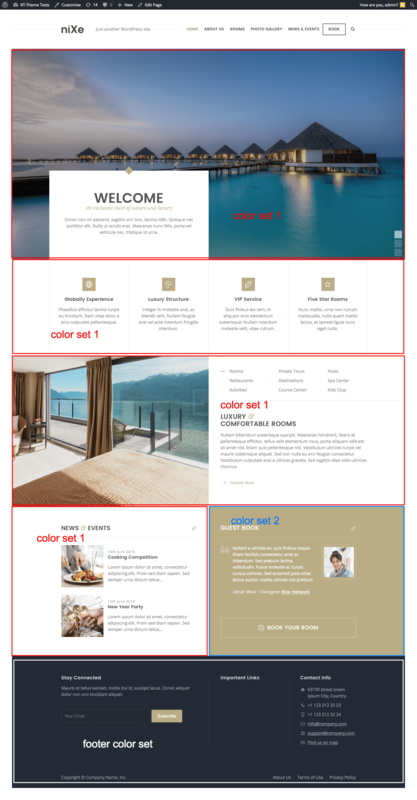 Room Posts Element (Visual Composer). 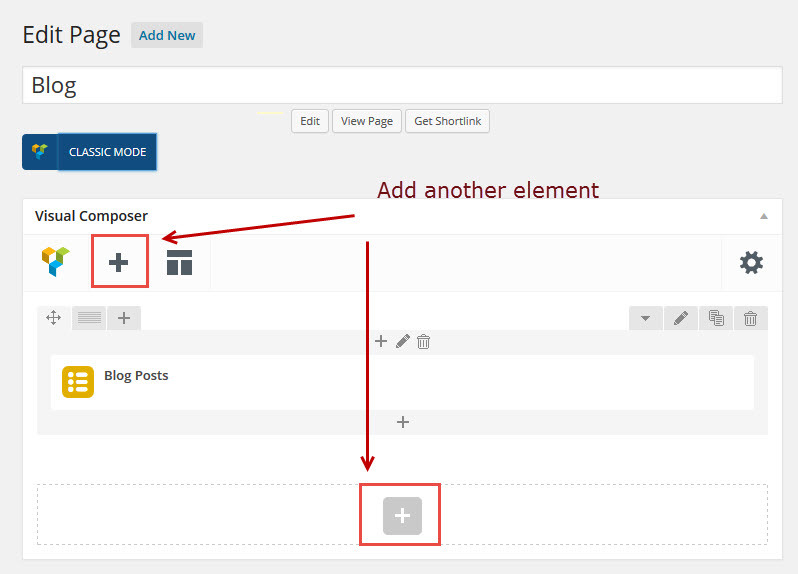 Click on the add element (the + sign) in the visual composer and add a room posts element. 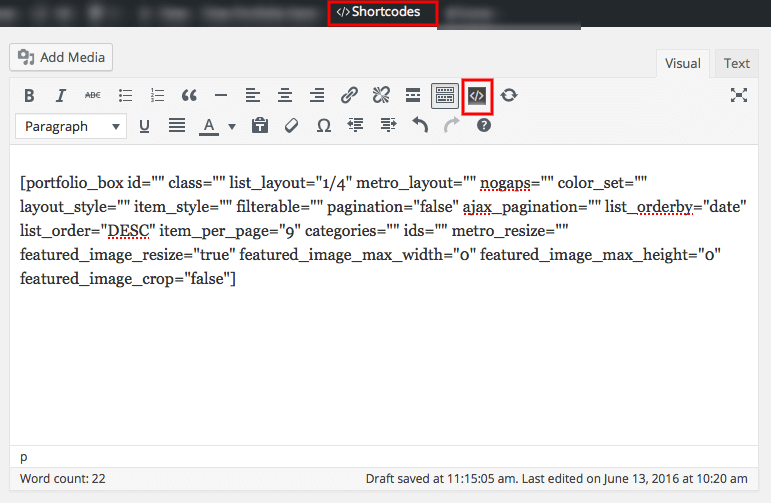 Click one of the shortcodes button in the admin bar to open shortcode helper window. In the popup window select the Room Posts shortcode. 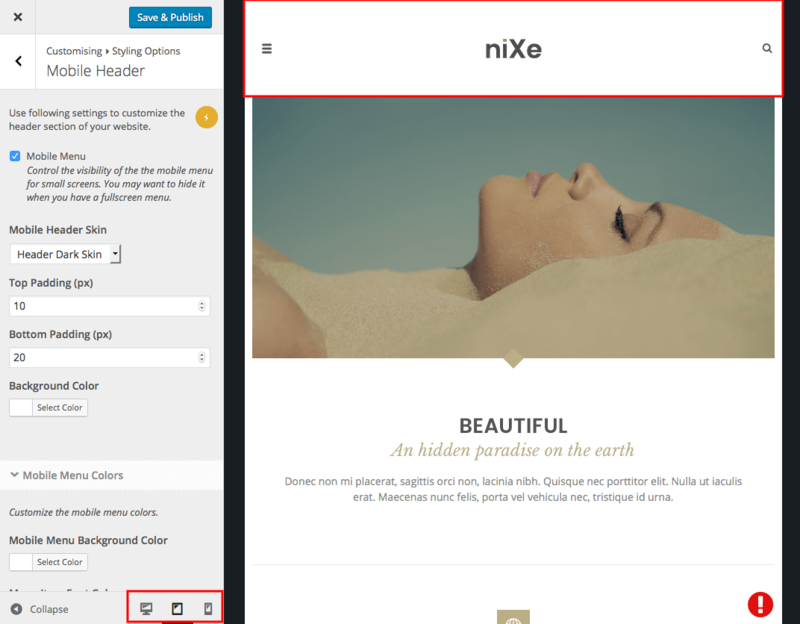 Nixe Extensions: This is our plugin and available for the theme only. 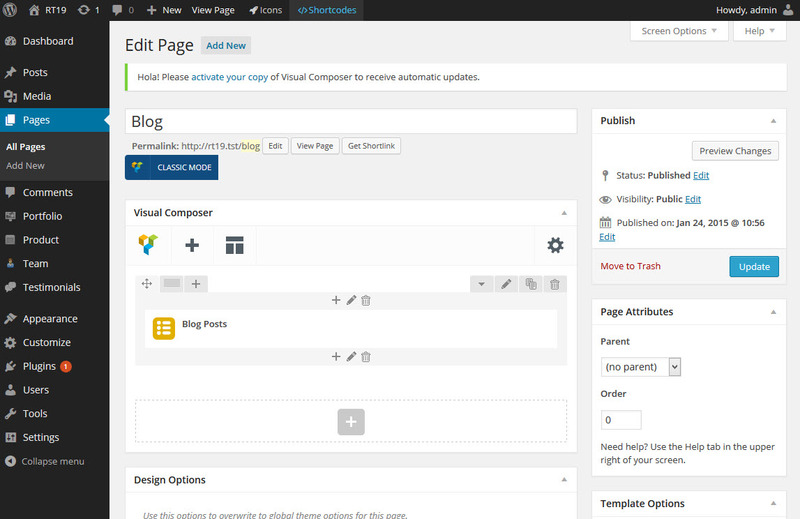 This plugin adds many new features to the theme. 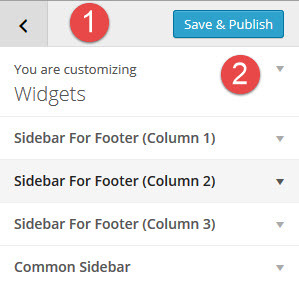 When we release a new version of the theme we will include the most recent versions of the plugins to the package. 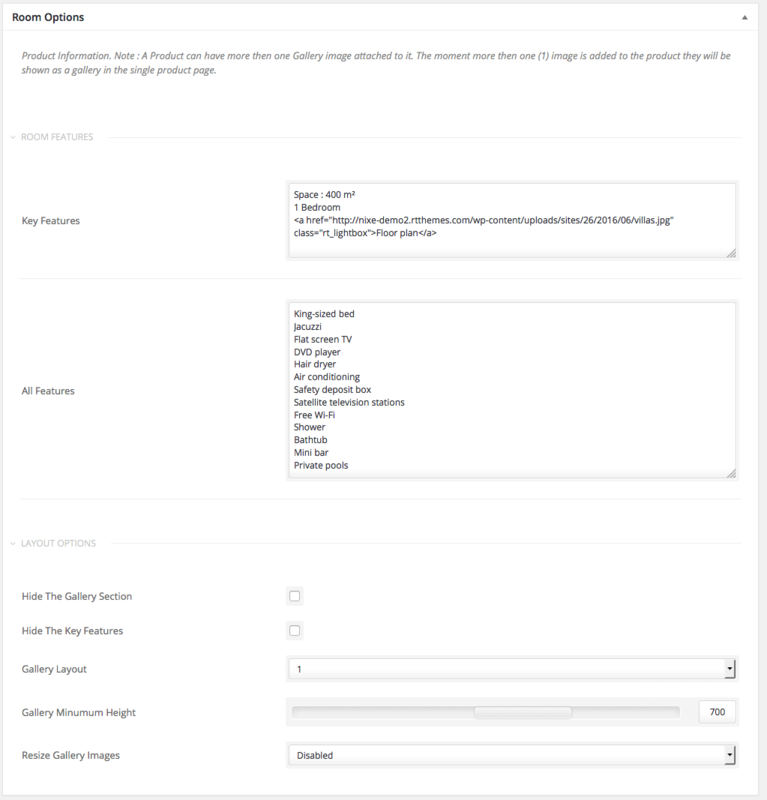 When you update the theme, you’ll see an notification top of your page in the admin panel (if it has not been dismissed) By clicking the “Begin updating plugins” link you can update all of them as you did when you installing them. 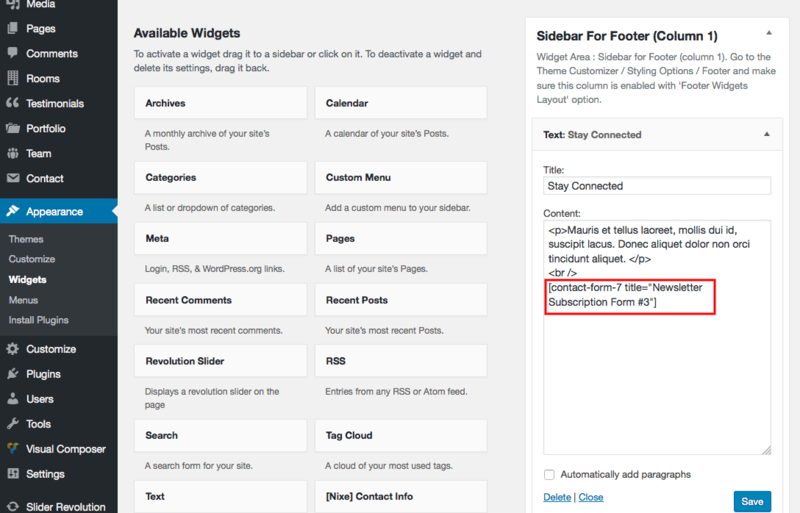 If you don’t see the notification, you can check Appearance -> Install Plugins page. If the “Install Plugins” link is missing, then can be sure there is no available update. There are two main steps must be completed to have a one page design.